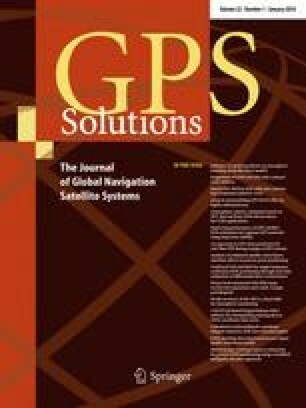 The combined navigation system consisting of both global positioning system (GPS) and inertial navigation system (INS) results in reliable, accurate, and continuous navigation capability when compared to either a GPS or an INS stand-alone system. To improve the overall performance of low-cost micro-electro-mechanical systems (MEMS)-based INS/GPS by considering a high level of stochastic noise on low-cost MEMS-based inertial sensors, a highly complex problems with noisy real data, a high-speed vehicle, and GPS signal outage during our experiments, we suggest two approaches at different steps: (1) improving the signal-to-noise ratio of the inertial sensor measurements and attenuating high-frequency noise using the discrete wavelet transform technique before data fusion while preserving important information like the vehicle motion information and (2) enhancing the positioning accuracy and speed by an extreme learning machine (ELM) which has the characteristics of quick learning speed and impressive generalization performance. We present a single-hidden layer feedforward neural network which is employed to optimize the estimation accuracy and speed by minimizing the error, especially in the high-speed vehicle and real-time implementation applications. To validate the performance of our proposed method, the results are compared with an adaptive neuro-fuzzy inference system (ANFIS) and an extended Kalman filter (EKF) method. The achieved accuracies are discussed. The results suggest a promising and superior prospect for ELM in the field of positioning for low-cost MEMS-based inertial sensors in the absence of GPS signal, as it outperforms ANFIS and EKF by approximately 50 and 70%, respectively.